We’ve been so glad to recieve a testimony in our boxmail this week. It is from a gentleman who wanted to share his career story with us. Whether I am a consultant or designer or both in the field of circuit board design, my services reach into both analog and power electronics. There are particular educational backgrounds required for this field. Having started off doing my BS in electrical engineering I later took up my masters, both at the City College of New York, U.S.A. This is one of the few top engineering colleges in America. I have worked for two years offering digital circuit design services to sundry clients before I took up a steady job designing power supplies for computers. 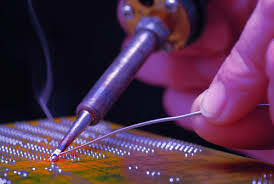 Seeing as how this particular sub-field is quite lucrative and has plenty of diverse job offers, callings, challenges, and projects, I continued in this field designing power supplies for medical instruments, automobiles, telecommunications equipment, and of course computers. Most of my work’s success and promotion rate depends on the number of customers satisfied and quality designs done and shown to work on a practical basis. Work with circuit board design is actually more hands-on than theoretical. Sooner or later, the design has to leave paper and show great functionality in reality. It is not ‘freelance’ work, meaning being a consultant and/or circuit board designer has a fixed set of clients who demand exceedingly high quality work in this ever-growing tech field. As a consequence, there are important responsibilities that come with my job. Most design projects start off with me working with the client on a direct basis to create a Specification Document. This is the foundation of circuit board design, describing in detail what the electronic object in question will do. Next comes an electrical diagram of the electronic circuit. This is called the Schematic. During this time, it is my responsibility to provide a detailed analysis of the component values (a parts list included) and add those in the schematic. The design then leaves my table and goes to a layout expert who gets started on a printed circuit board based on my design. This board is essentially the green-bronze plate on which the circuit components go, like what you will find inside remote controls, TV sets, and computer game processors. 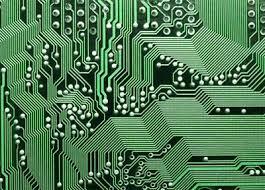 A printed circuit board manufacturer gets the approved circuit board design. The components are made and placed where needed after which the board is powered and tested. At this stage, problems are addressed and corrected. If I am working on a brand new design, five to ten prototypes will need to be built following the above process. Through testing, the team and I can check to see that the specifications of the circuit are all present, making the design and the consequent board reliable. In fact, I even deal with reliability testing to try and find ways to make the circuit design fail. If it passes muster, it enters the production stage. Most clients want something new, which renders my job quite creative. Specialized requirements mean specialized designs. Mistakes do indeed happen and they are quite impactful when they occur during analyses. During first-prototype testing, these mistakes (component failures, design flaws, etc.) show up and it is quite challenging to ease out all the wrinkles in the design so we do not have a disastrous issue when the design reaches production stage. Degree Level: You should certainly have a BS degree. If science is not your preference, it is important you have a math degree with basic integral calculus as part of the curriculum. Work Experience: A few years (3-4) in circuit design and consultancy will help ensure job security and long-term stay in the field. General Skills: Excellent communication in both written and spoken English. 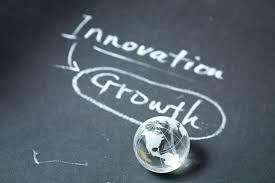 You need to convey your ideas fluently during meetings or when you write up documents, reports, and analyses. Other Skills: You must be able to work well with teams, probably even lead them. You should have great people skills so you can work with all types of people without being difficult. Being tech-smart alone is not your forte. You need to have people skills. Half the time you are working with lifeless circuits and their design but the other half includes actual people who bring requests and suggestions to you, and often involve you in delicate talks when mistakes or design failures arise. There is a process to circuit board design and you need to learn to get with the program by forging steady work relationships all round. We thank our volunteer for this testimony. Hope this will help those who want to pursue this career. What do you think of this wareer story? Can any circuit board designer and consultant relate? or copy this trackback: http://engineering.electrical-equipment.org/others/circuit-board-designer-and-consultant.html/trackback from your own site.